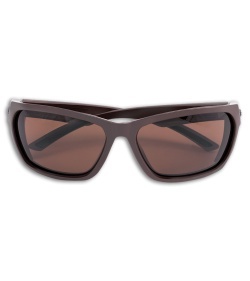 These Mark-III Battle Shades come in a matte brown color. Cold Steel Mark-III Battle Shades offer 100% UV protection and meet military standard impact resistance ratings. 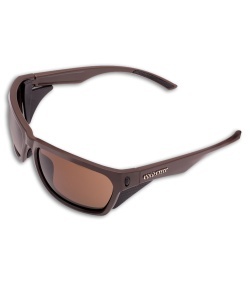 They were designed for military, police, EMT, or anyone who requires tough, durable eye protection. High-impact polycarbonate lenses offer 100% UV protection and meet military standard impact resistance ratings. 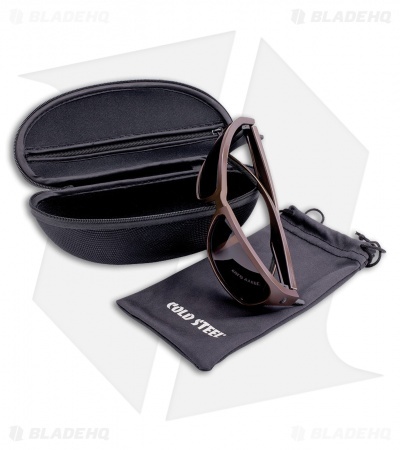 Nose pads and temple tips provide a comfortable, secure fit. Item includes removable side shields and a microfiber carry pouch.